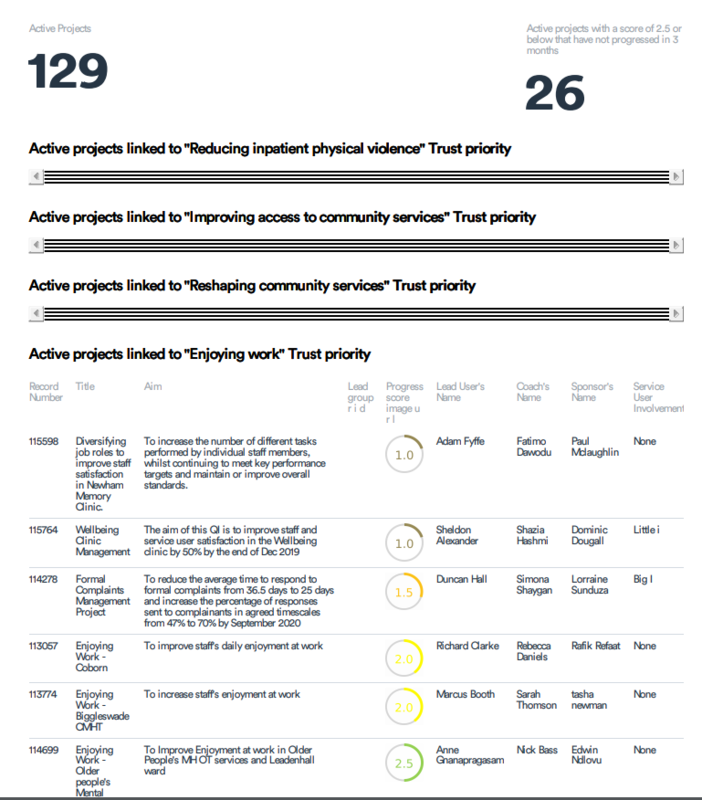 Here you can find up to date lists of active QI projects happening within every directorate or service at ELFT. Click on the icons below to see project titles, aims and locations for each directorate. This is the monthly report generated from Life QI, showing all active projects within all the directorates.